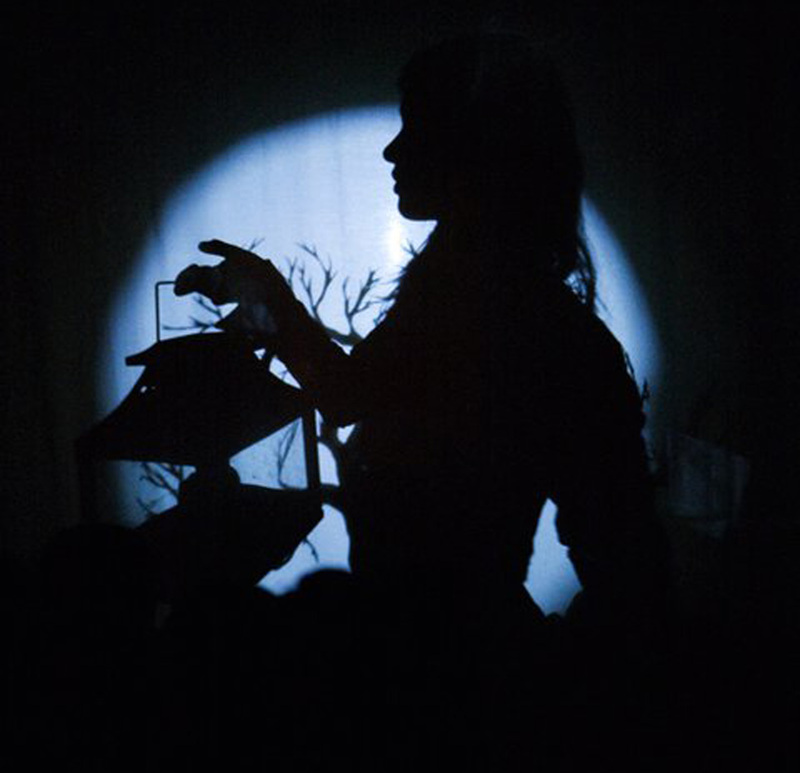 Night Shade is headed to New Orleans for this years Fringe Festival! 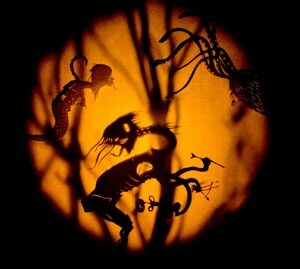 November 17 - 21st 2010 we will be performing our shadow play Order of Wolf at The Mudlark Public Theater. Click on Beatnick Betty to see what Portland fashionistas had to say! Night Shade is collaborating with the punk band Japanther to create a show for the PICA TBA Festival. On opening night the underground scene of rock-n-roll puppet shows will be pulled out of the dingy basements and explode onto the stage at Old Washington High School Auditorium. Get ready for the rumble of JAPANTHER VS. NIGHT SHADE! Core artists are Alicia Cortes, Sarah Frechette, Oviedo Menendez, Jason Thibodeaux and Alain Z, but also working under the banner Night Shade are Kevin Bouton-Scott, Michel Fiffe, Chris Rabilwongse and Cynthia Starr. In July 2010 our shadow play Order Of Wolf terrorized the Northwest Regional Puppetry Feastival in Seattle, WA. Seattle's THE STRANGER newspaper reviewed the Festival. 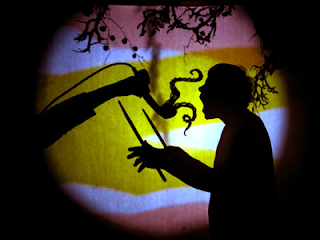 "Portland's Night Shade theater uses elaborate pop-up books as shadow-puppet sets, and its Order of Wolf has incredible depth of field: A soldier holds up a severed head as the "camera" (a flashlight manipulated to illuminate, shrink, and enlarge sections of the pop-up set on a projection screen) swoops over a battlefield covered in dead bodies, and a Citizen Kane–like pan rushes from the outside of a Victorian mansion to the interior of a study. Some tropes that would be too familiar in a horror movie, such as a a brutal werewolf attack or a reflection in a mirror during a lightning storm turning into a demon's face, seem fresh and new when performed live." 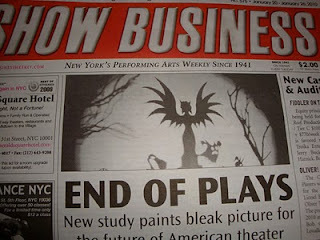 Imagine how surprised we were to find that our shadow image landed on the cover of NYC's Show Business Weekly. Thank you Heather for the heads up!